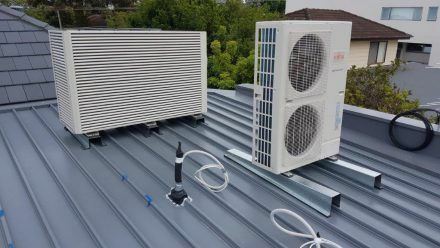 During the summer months, the heat can be particularly oppressive and the last thing you want during this time is for your air conditioner to act erratically or give up entirely. We at GAM Air Conditioning always encourage our clients to get regular air conditioning maintenance done from us. It’s one of the best ways to ensure that the system functions well during summertime and throughout the year. The motors, fans, belts,and bearings are all movable parts of your AC and can get worn over time. If you hear any strange noises coming from the system it’s important to call us without delay. Failing ducts are another cause of airflow problems. The thermostat helps to control the function of the air conditioner and regulates the cooling levels. If the fan stops working that can cause the thermostat to stop working. In turn, this can affect the comfort levels in the indoor areas of your home. In addition to these problems, dirty/clogged filters or system pilot issues are the other common problems that might arise. If you have noticed any of these signs, don’t delay in contacting us. Our team will be at your location at a time convenient to you. They will thoroughly inspect the system in order to determine what is causing the problem and will fix it for you. We at GAMAir Conditioning provide excellent residential and commercial air conditioning installation, maintenance and breakdown services. For any more information please feel free to contact us at 0283316397, send us your queries via this online form or get your free quote for installation here.